The post Organizing Baking Supplies in a Drawer – Pantry Alternative for a Small Kitchen appeared first on Remodelaholic. 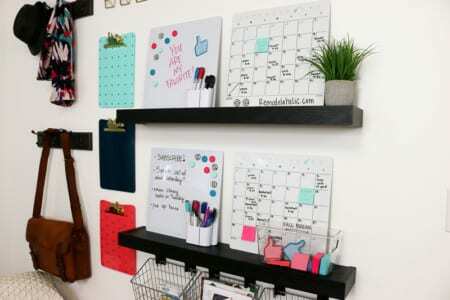 The post The Quickest and Easiest Way to Hang Shelves and Hooks for a Family Organization Center appeared first on Remodelaholic. We have a bit of a personal problem. It is being addicted to remodeling… and it spills over into our garage in a very horrible way! The truth is, since we moved back to Utah 6 or so years ago, we have been actively remodeling 3 separate homes non-stop. 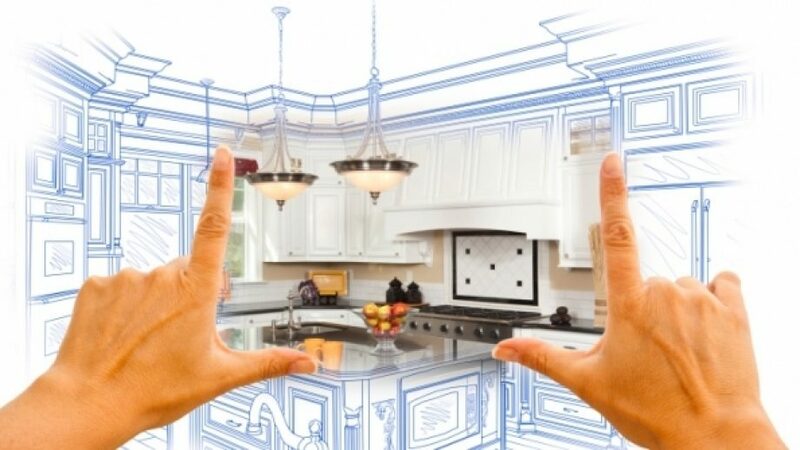 DIY remodeling a house takes A LOT more than a month, it takes a couple years AT LEAST! This means our tools travel everywhere. It is like they just sprout legs and walk around at night, think Toy Story… only we’ll call it Tool Story… Besides the constant shuffling of tools for remodel projects, we are also occasionally creating furniture building tutorials, and/or upcycling or reusing older bits and bobs which has come to a bit of a hording supplies problem. So basically, what I am trying to say is that our shop is not navigable, meaning you can’t walk in it, let alone, finding what we need at any given moment! No matter that we have 6 or 7 hammers, we can’t find a single one. All this to say that the GREAT GARAGE /WORKSHOP MAKEOVER HAS BEGUN!…. The goal is that if Cassity wants to walk into our garage that she will be able to find what she needs because the items have a home. This idea may sound revolutionary… but I assure, some people in real life have clean workshops… and I want to be one of them. The blue metal cabinets are actually one of our favorite finds from this house HOWEVER, we didn’t have enough for the space so they are being moved to a new location. We will love theme there as well! You can’t really see them in the picture above but we salvaged an entire kitchen worth of cabinets from our latest remodel, and those cabinets were stacked in the middle of the garage around the table saw creating a “workbench”. But with the decision to move out the blue metal cabinets, the old kitchen cabinets will be perfect for a wall counter with TONS of storage… about 20 feet of all cabinets. Isn’t it the most beautiful thing you’ve ever seen? We partnered with an AMAZING store, Rockler Woodworking and Hardware (affiliate link) to build this workbench, and you would not believe all the great little details we’ve worked into it. Come back next week for the full details of how I built it. So you can tell that the lighting was improved a lot with the picture above. I added lots of light. Let there be LIGHT!!! This place is flooded with light now. There is so much light you might be able to see my house from space now! Can see the little group of three directional light in the picture above? That is the light that I had before I added the new ones. It was hard to get a nice even light using spot lights. I was tired of not being able to see the things I was working on. So I started to add light in this corner of the garage first. It was kind of a test to see how many lights I needed. In this space above the workbench and walls above the cabinets, I was able to get in six 4′ LED lights. That’s a total of 24000 Lumes in a 120 SQFT space. The cool thing about these lights is that they link together, with a 4′ chord, up to five lights and they have their own pull chain switch for more control of turning on and off the lights. Right now I have all the lights plugged in a power switch so they all turn on at once. It is amazing the difference the lights makes in the shop. Sometimes I just stand there looking around because the light makes it look so nice. It makes me want to keep things clean around here. The floor needed a little attention as well. They are stained and dirty looking from years of use. I wanted to cover up the nastiness with some nice foot mats to help clean up the look and provide a comfortable surface to stand on while making projects. Maybe some day I will be able to apply some really nice concrete floor paint over the entire garage to make it all look good. One thing that is always present in a woodshop is the saw dust. I’m excited to look into some better practices of dust collection and to see what Rockler has to offer. I will have to be better at cleaning up everyday that’s for sure. I’m pretty sure Cassity just might be able to find something in the garage next time she comes into the garage. There are still a TON of things on the to do list. And with it being summer and the kids are home, it may take us a bit of time to wrap up everything, but we are learning patience and just starting with the main workbench has been a huge motivator to get the rest of the space done! Please come back next week to see more of how I actually built the workbench and the cool features that I designed into it.